Andrew Bauer. Fourth Grade Teacher in a small town in the state of Illinois. CEO and Co-Founder of Pangea Educational Development. By day he stands in front of handfuls of 10 year olds, but at night and on the weekends, he devotes his time to the children of Uganda. Andrew has illustrated that sustainable change is not only greatly needed in Uganda but possible. He has shown his colleagues, fellow teachers, and very own students in Illinois, that incredible ideas can come to life if we truly devote ourselves to making them a reality. His story is not only unique, but inspiring. 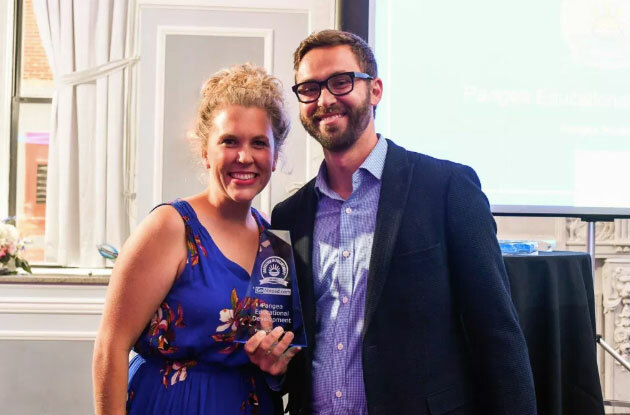 Through the Pangea Model, Andrew has brought powerful, impactful, and lasting improvements to multiple schools, children, teachers, and communities in Uganda. Their lives will never be the same because of PED, and neither will his. Elsa: All the teachers out there are wondering, how did a teacher in Illinois become a founder and CEO of a Non Profit and International Volunteer Organization in Uganda? Andrew: I have a passion for service and a love for education. This led me to volunteer in both Rwanda and Uganda. 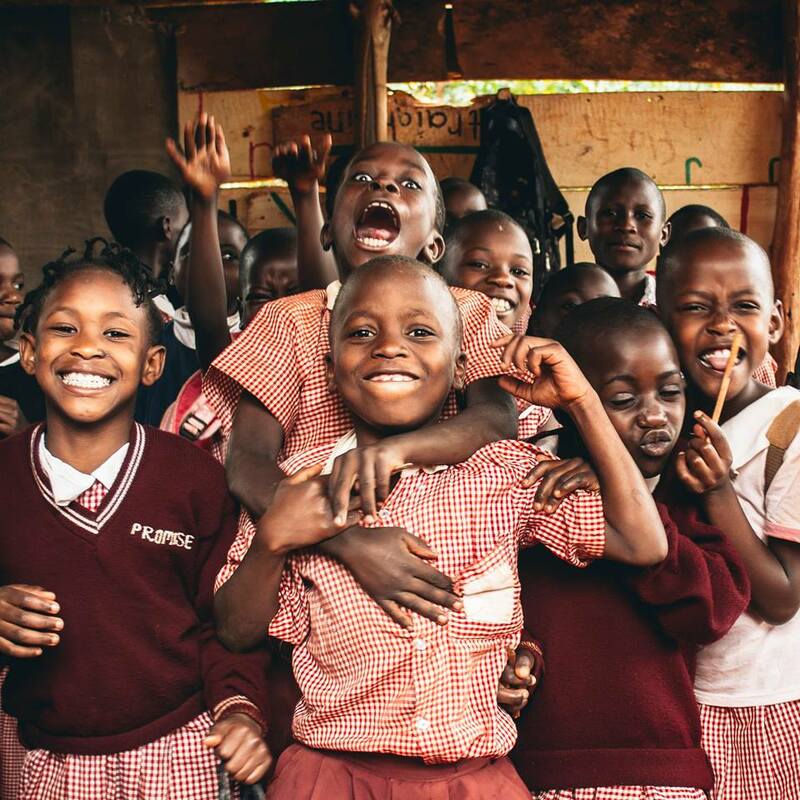 While working with a school in Uganda, the funding NGO of the school shifted its finances and mission in another direction, forcing the school to almost close. I decided to lead an independent trip focused on building an income-generating project to help give the school a sustainable income. Thus the root of PED was born. Elsa: Clearly you saw a need and felt the desire to help the people, and especially the students, of Uganda. Other than the desire to fulfill this specific need, what inspired you to develop PED? Andrew: The belief that education is the essential building block to truly transform a community. We have a passion to contribute to long-term solutions in the world. Elsa: Surely the challenges you faced as a volunteer in Uganda were transformed when you decided to develop a non profit organization in Uganda, what was the biggest challenge you faced in establishing Pangea Educational Development? Andrew: Our biggest challenge is also one of our strengths – we are full of youth. Each person volunteering and working with PED is learning as we go. This is an ideal place to grow both professionally and personally. With that, there are certain limitations. We are not exposed to the same types of resources or investors. Our network and target audience is just as young as us. We are learning to be dynamic and build upon that. Elsa: We were instantly intrigued by Pangea’s Three-Step Model and happy to begin working to support its application. This three-step model appears to be the perfect solution to the issues faced by Schools in Uganda. How did you come up with this ideal model? Andrew: Our Three-Phase model came through research on other NGO income-generating and microfinance models, and also through patience and flexibility. We have learned so much about the partner schools and communities. Through years of listening and adjusting, we have been able to refine our model to a place where we are seeing true success. Elsa: With this refinement and success, how do you ensure your model is applied in every step of the process at every school in the more effective way? Andrew: The schools we partner with set up committees that involve a student, a staff member, and a community member. This helps us ensure that there is both community and school ownership behind every project. This is the most vital part of the process. We also have clear expectations with all our our schools that are talked about and reiterated throughout the process. Elsa: As you have visited Uganda, hosted charity events, spoken to donors, and developed PED to what it is today, what moment sticks out in your mind as the most memorable and inspiring moment for you? Andrew: This past summer we were working at our partner school, Tooro High School, on our final project. We took a break with all the volunteers in the back of the school on some desks of which we had taken out earlier while working in a classroom. The head-master came down and addressed the team and was glowing about all the projects that Tooro had purchased on their own power. He reflected on how when PED and Tooro started their partnership there were only a little more than 30 students, and now there are almost 200. He talked about how the PED sponsored income generating projects account for 40% of their current budget, and a projected 60% of the following year’s. And, with a smile, he looked at us and said, “from where you found us to where we are now, a model school.” This was the moment we knew our model was truly working. It isn’t completely about the numbers, but the capacity of the leaders to progress the school forward. Elsa: PED provides international volunteers with a variety of placements in Uganda, from teaching, to construction, to business development. What is the most important role of PED volunteers in Uganda? Andrew: PED’s model is built on the volunteer experience; they are an integral part of our mission and model. The volunteers are a part of the mission by being the hands and feet, helping build structures, leading professional development sessions, and collaborating with school leaders. Volunteers are a vital part of our model by building relationships withthe staff, students, and community. The key part of accountability is trust. Our volunteers help build foundational trust within the school community to help hold all key stakeholders accountable. Elsa: We are currently fundraising for a new Water Pump at St. James School in Uganda, which will not only provide Clean Water to the Community but also an essential livelihood for the school. Why should donors choose to support Pangea’s projects? Andrew: Donors should support PED because we are an organization building financially sustainable projects for long term solutions. We work closely with communities and have their best interests in mind. We try to be as efficient and effective with every dollar we receive so that people can feel comfortable knowing that their donations, no matter how big or small, are being maximized and used responsibly. Elsa: You have come a long way since the establishment of Pangea Educational Development, and your model only continues to improve with each application. We are excited to see PED grow, and to continue to work closely with you. Where do you hope to see PED in the next 3 years? Andrew: We see PED truly scaling up our Uganda model in the next three years. We want to be investing and deepening our impact throughout Uganda. Investing in PED projects through the GoAbroad Foundation will help us move boldly in the next coming years. To learn more about our Current Project with Pangea Educational Development, visit our Water Project Page. Innovation in Philanthropy Winner: Pangea Publishing!